The planets are aligning with the Moon this afternoon to create a more powerful square and opposition. We already have Saturn square Pluto and opposite Jupiter and Uranus as the big effect. Today we can add to the list the Moon, Venus and Mars in a stellium (all grouped together), bringing more to this already difficult time. Venus, the planet of love and values, and Mars, the planet of energy and action in Libra with Saturn bring us all lessons regarding our relationships to each other and what these planets represent. But, add the Moon and it gets emotional. So, when the Moon goes into early Cardinal signs, Libra, Capricorn, Aries and Cancer, it puts a difficult spin on this T-Square. It is something we can all be aware of and use the time in between these cycles to get grounded from the prior lessons whiplash. 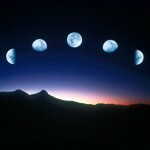 The Moon changes signs every 2 1/2 days, so we can look ahead to see when this will occur. This month of August, we have Libra Moon this afternoon at 3:42 PM PDT through tonight, as it goes out of effect with this T-Square, then again August 19th when it joins Pluto in Capricorn for the day, then again August 26th in the evening it aligns with Uranus and Jupiter in Aries into the 27th. Watch these dates for button pushing events to force you out of your comfort zone into your own learning curve. It’s at these times we need to stay open and willing to see how we operate, whether on auto pilot or consciously. Good luck to us all, as this is a grand opportunity!